Love this jewelry by SUGARFIX by BaubleBar for Target! These beautiful blush pink tassel earrings are the perfect gift for your sweet Valentine. They are ready to wear in February yet will stay stylish throughout spring and into the summer months. Best of all, they are on sale right now for only $10! The start of the new year is a time to reflect on what we appreciate in life. I am grateful for so many things… especially family and great friends. I found this candle at Target.com and think it is a sweet gift for a good girl friend. Who doesn’t love some aromatherapy in the middle of the winter?! Join Children’s book author Kristy Kurjan as she reads at Books for Babies at the Peninsula Township Library on Old Mission Peninsula in Traverse City, Michigan from 10 am to 11 am on Monday, October 23rd. There will be a simple craft and lots of smiles! Bring your pre-schoolers! It’s reading fun for preschoolers on the first and third Thursdays of the month at 9:30 AM with Story Stew. Stories, crafts and songs fill this hour long program for little ones in the library. When school is out, older kids are welcome as well! Girls in the third, fourth and fifth grades are invited to join us with a special adult for our Mother Daughter Book Club. The Chapter Chicks meet bimonthly on the second Monday of the month at 6:30 p.m.
Our certified Reading Dog Zeb listens to kids read on Tuesdays from 9:30 to noon. Call to reserve a spot for your child! 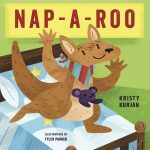 We were honored to have Dream Sweet Dreams included in the July 2017 issue of The Midwest Book Review’s Children’s Bookwatch: The Board Book Shelf. 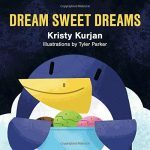 Dream Sweet Dreams: Featuring the bright illustrations of Tyler Parker combined with a sweet, rhyming text by Kristy Kurjan, “Dream Sweet Dreams is an adorable bedtime story celebrating the joy of creativity through dreams. From penguins eating ice cream to cute cuddle bugs, “Dream Sweet Dreams” is an utterly charming board book that is sure to bring a smile to both young and old. There are endless possibilities for what children ages 3 to 5 can imagine. 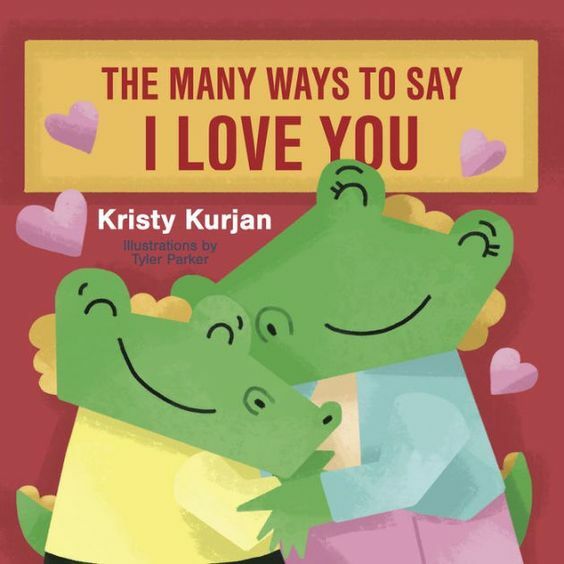 Also very highly recommended for family, daycare center, preschool, and community library Board Book collections is author Kristy Kurjan and illustrator Tyler Parker’s companion book for young children, “The Many Ways To Say I Love You” (9780986075032, $7.95). 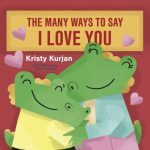 It should be noted for parents that both “Dream Sweet Dreams” and “The Many Ways To Say I Love You” are also available in a digital book format ($3.99 each). I recently had the opportunity to be interviewed and reviewed by “All Things Jill-Elizabeth” book review blog. Thank you Jill-Elizabeth!